The Grand Palais in Paris was transformed into a snowy Winter wonderland for the Chanel Fall/Winter 2019 show, which was also the final time we'd see the work of Karl Lagerfeld hit the runway. The legendary designer, who passed away in February, was honored with a minute's silence, and guests were gifted an illustration of the designer standing next to Coco Chanel, accompanied by the words "the beat goes on." Karl's Chanel swansong was designed with Virginie Viard, who is his successor at the label. 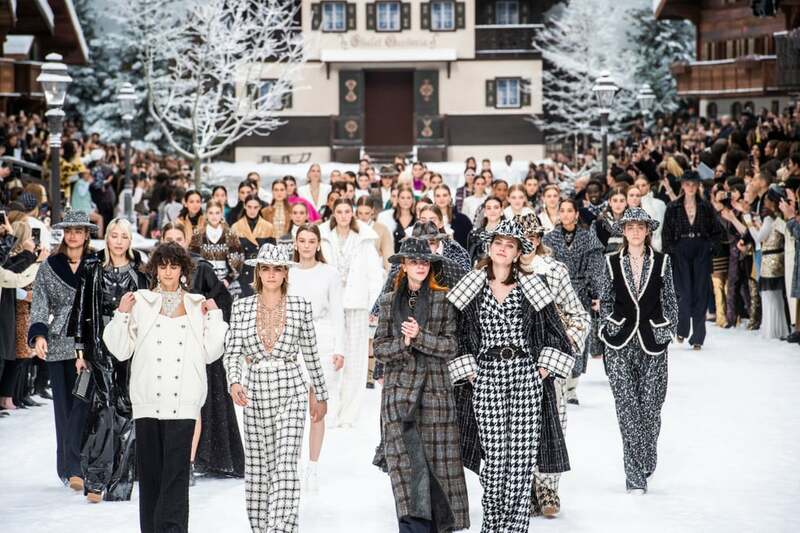 Staged in a mock Swiss village, surrounded by snow, Chanel-branded skis, and all manner of wintry details, it featured all the hallmarks you'd expect of a classic Chanel show. There were monochrome tweed suits with wide-leg pants, cozy ski jackets with embellishment, marabou-trimmed cocktail dresses, dramatic capes, and Winter knits with beaded motifs. Penélope Cruz, in a fluffy skirt and ruffled top, carried a white rose down the runway, while Cara Delevingne led a poignant finale, giving peace signs to the cameras. 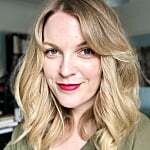 Keep reading for a look at some of the best moments, then check out the accessories.